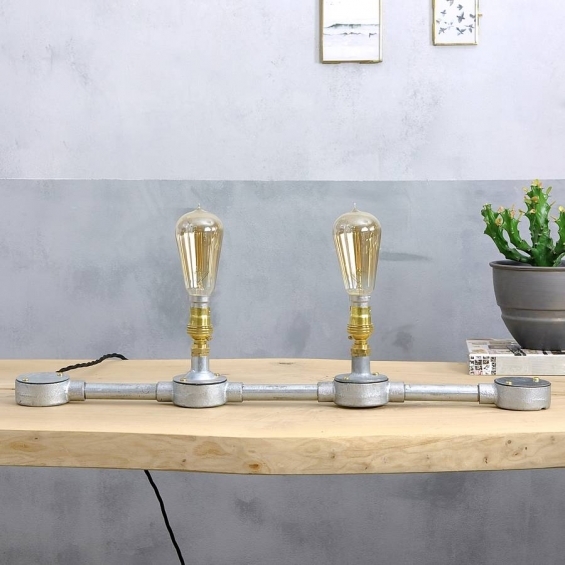 An industrial steel pipe table lamp. 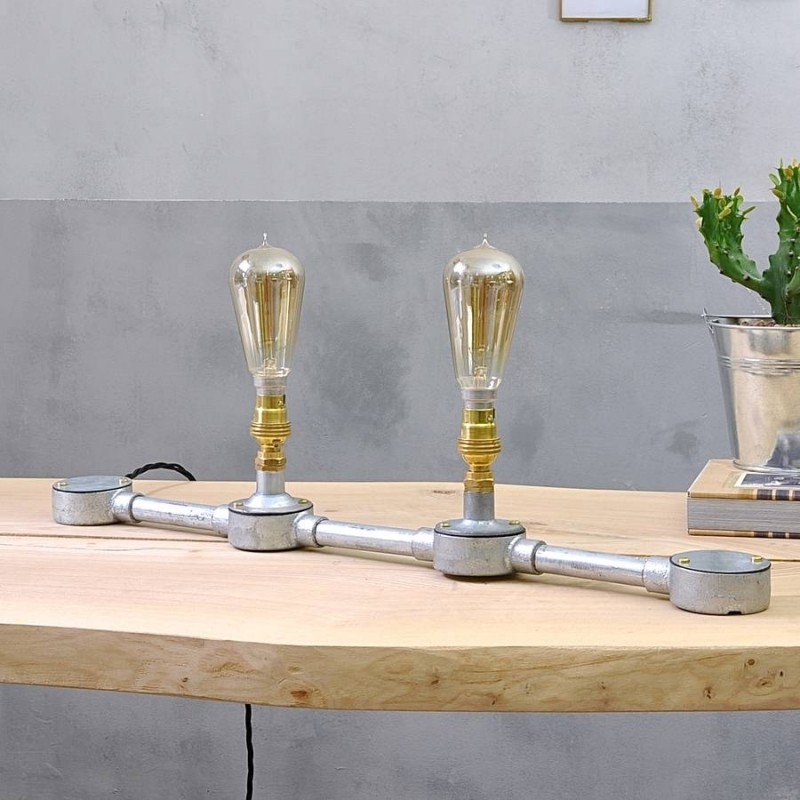 Totally unique, beautifully hand crafted industrial style table lamp. 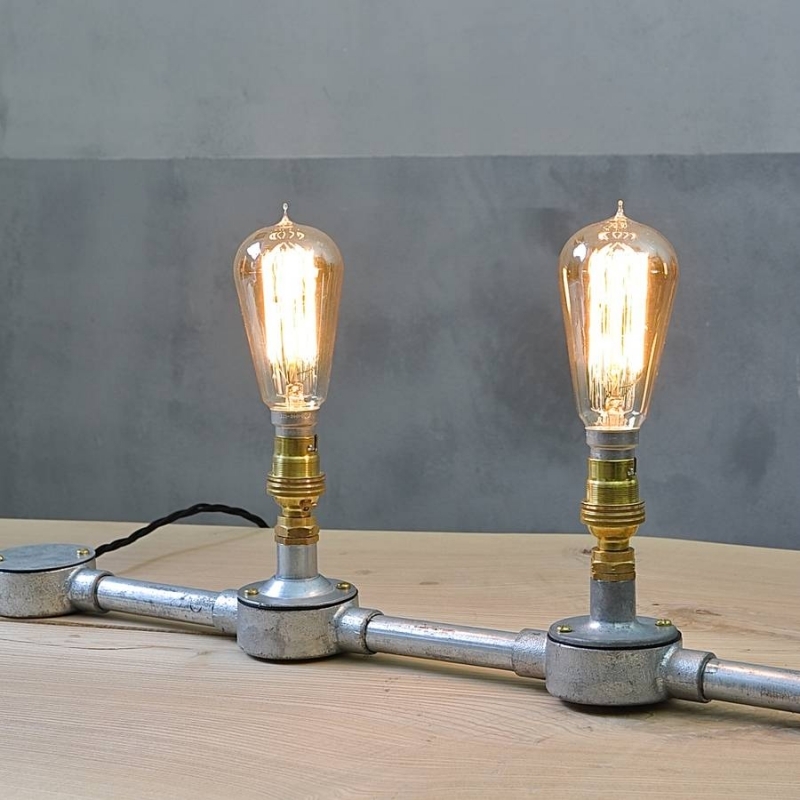 These gorgeous lights have an industrial feel and would be the perfect addition to any home. A stylish desk lamp that is both elegant and urban. 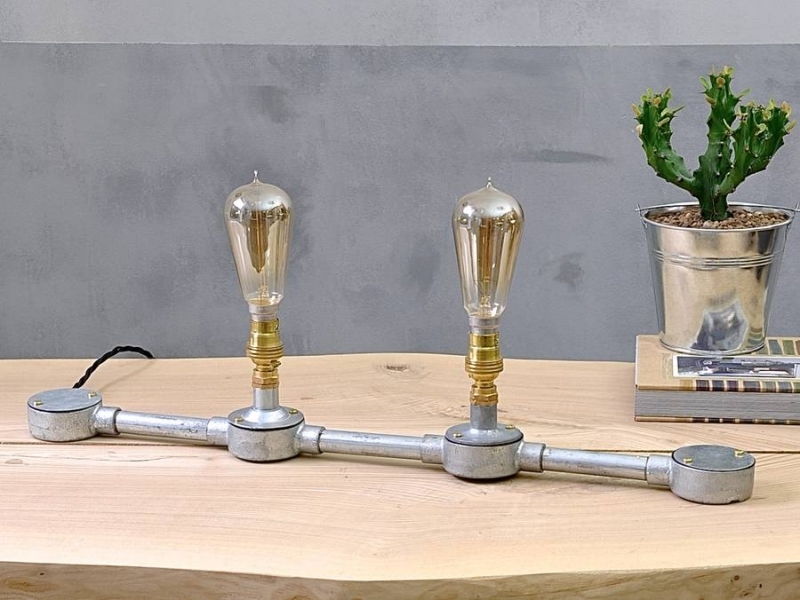 Max 40W bulb to be used in this light fitting only. Comes with a bayonet light fitting and has a switch on the black cloth wire provided. 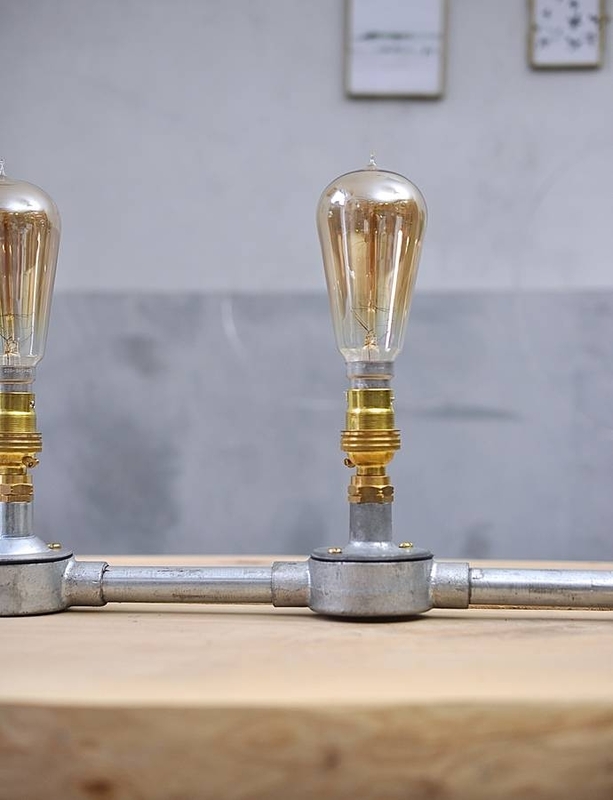 This light fitting has been wired and tested by a qualified electrical engineer, and PAT tested and certified with a confirmation sticker located on the plug for your reference. Please do contact us via the ‘ask seller a question’ button as bespoke services are available.